To mark the release of Murder on the Orient Express, we’ve compiled a list of five train movies for every kind of movie fan. As most of the world knows by now thanks to the fourteen million views on its trailer, Kenneth Branagh’s Murder on the Orient Express is on the tracks to a theater near you this week. With an all-star cast including Daisy Ridley, Penélope Cruz, Judi Dench, unfortunately, Johnny Depp, Branagh himself (of course), and the real star of the film Michelle Pfeiffer, there is at least one actor/actress within the film to attract every kind of film fan. One thing you may not have noticed about Murder on the Orient Express is that it’s set on a train. So, to combine the widespread appealing nature of the cast with the train setting, below is a list of five train films for every film – and train – lover. Many films didn’t make the list, including key train scenes in films like North by Northwest, The Third Man, Buster Keaton’s The General, Shanghai Express, The Narrow Margin, and From Russia with Love. This is because 1. There are a lot more train films than you would expect, and 2. This list aims to include a film with a train, or about a train, that appeals to a particular film fan. Genre: Psychological Crime Thriller/Film Noir. Who’s It For: The Classicist. 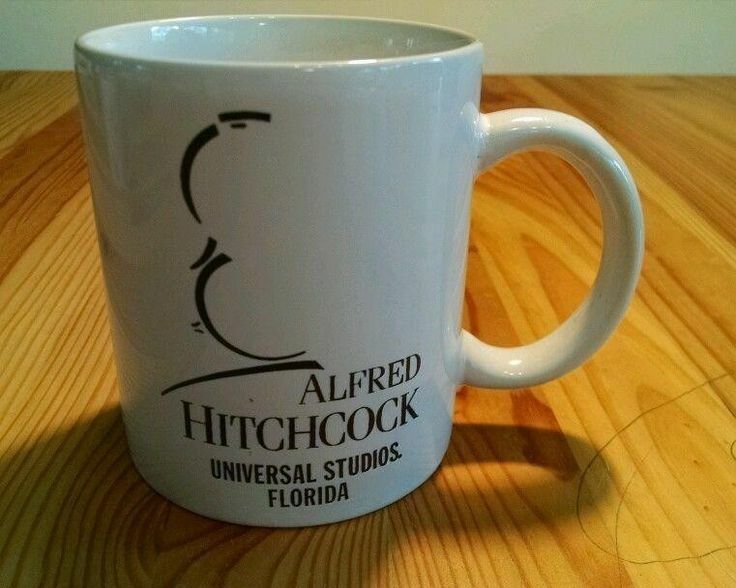 Hitchcock fan who owns a variation of this mug. The kind of person who always references Hitchcock/Truffaut in every film essay. Why: This film earns points because it has ‘train’ in the title, but Strangers on a Train really earns its place on this list thanks to Hitchcock‘s in-depth exploration of humanity’s instinctive competitive nature. Notably, most of the films on this list are either horror, psychological thrillers, or crime dramas. It’s clear cinema has exploited the claustrophobia of trains, and Hitchcock was one of the first, and best, filmmakers to convey this sense of entrapment. Adapted from Patricia Highsmith‘s novel of the same name, Hitchcock constantly frames his two leads, Guy Haines (Farley Granger) and Bruno Antony (Robert Walker) across from each other when on the train. The tension this creates between the two characters is effective, but it’s the director’s contrast in movement that’s more eye-catching. The stillness of the interiors of the train works against the movement of the world outside. The passengers are out of control, and only one person knows where the track ends. Even though most of the film takes place off the train, this lack of control takes place for the rest of the film. Who’s It For: A different kind of Classicist to the previous one. This person is the type who takes every opportunity to declare they prefer the original to the remake. The “OG” Classicist. Why: With stars including Ingrid Bergman and Lauren Bacall, Sidney Lumen‘s 1974 is an entertaining ride into Agatha Christie‘s “most perfect crime.” The all-star, Hollywood cast creates a sense of trust between viewer and audience, making the question of the who the murderer is all the more fun. Of course, most know by now who the murderer is, so the question today is more of a how will it be told? David Suchet will always be the true Poirot, but Albert Finney does a good job. Who’s It For: The person who has to watch whatever their children want to watch / Christmas fans. Why: Originally, Martin Scorsese’s Hugo took this spot, but in order to start transitioning into the Christmas spirit this writer thought The Polar Express the perfect fit. This children’s film is set nearly entirely on a train and manages to make a near-action movie out of it. Tom Hanks‘ multiple characters (he plays the Father, the Conductor, Santa Claus, and Scrooge) are fun and memorable, but director Robert Zemeckis makes sure it’s the child characters who are most interesting. Who’s It For: The person who loves foreign films and strange romances. Why: On an overnight train, protagonists Marta (Lucyna Winnicka) and Jerzy (Leon Niemczyk) end up having to sleep in the same room due to human error. As it’s revealed not only is Marta’s ex-lover on board, but also a murderer, the romance of Marta and Jerzy’s strange relationship is soon overshadowed by the exploration of individual (un)happiness and the meaning of having a sense of purpose. This is the best film on this list. Go and watch it, and then read RogerEbert.com’s Michal‚ Oleszczyk’s review, which is like watching the film all over again from a new perspective. Genre: Thriller/Horror. The thinking person’s zombie film. Who’s It For: Horror and gore fans. Why: Yeon Sang-ho‘s film is unapologetically entertaining. From start to finish, this well-crafted zombie thriller contains everything a train and a gore-loving zombie horror fan could possibly want. The film is often genuinely scary, but it doesn’t substitute its desire to scare the audience with bad dialogue or characters. Instead, Yeon Sang-ho paces the film in a way that lets his audience get the most out of the thrilling 2 hours. Honorable mentions include Mission: Impossible for this train scene, The Darjeeling Limited for being both set almost entirely on a train and everyone’s least favorite Wes Anderson film, and Season 4, Episode 15 of Bob’s Burgers.